Here's more about me than you ever wanted to know! 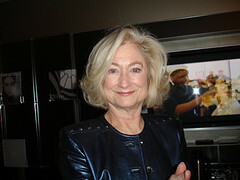 The photo was taken in the Elizabeth Arden Red Door Spa blogger lounge during Fashion Week (organized by Lianne Farbes in February 2010). Billy Dee Williams had just done one of the most incredible blow-dries I've ever had. The guy is a genius. I started blogging about beauty in the summer of 2009 (I had written a local political blog years before, when blogs were new). 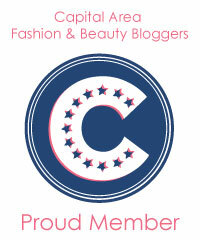 I had been reading beauty blogs and saw an invitation for guest bloggers on BeautyLuxe. I responded, and I wrote a few posts for Kimberly. I realized quickly how much I enjoyed writing about my beauty passion - and that there weren't many beauty bloggers in my age group. Since I was a frequent flier at all the department stores, and I had closets full of beauty products, I knew my subject was a natural. I love writing. I had intended to major in journalism in college, but was snagged by psychology. I published the first Best Things in Beauty feature in July, 2009, and the rest is history. That's a good question. My readers might be able to provide a better answer than I can. I like to focus on beauty products that are the "best in beauty." I don't want to waste my time - or theirs - on products that don't make the grade. When a product has been hyped, and I don't think it's worthy of our money, I might cover it as a warning. Otherwise, I skip the bad and mediocre and feature the best (or newest). As a rule, I focus on higher-end products, but I try to cover the best from drugstores too. I don't cover teen beauty; I have no idea what the kids are buying. I always try to provide balance on the blog, featuring not only makeup (which seems to be the most popular subject), but also fragrance, skin care, hair care, tools, celebrity beauty now and then - everything beauty. I even write a rant now and then. Following the beauty industry is fun. Beauty products are affordable luxury; buying them is so much easier on the wallet than collecting Giorgio Armani fashion! I am fascinated with every aspect of the industry, from the science behind skin care and cosmetics to public relations and marketing, so I enjoying reading, researching, and talking beauty. That's one reason you'll often find me hanging out at beauty department counters, picking the brains of product line reps for ingredients, why products work, and what's coming, along with techniques and tips. I love sharing that information. No, my interest in beauty products has waxed and waned. I went to a strict Catholic high school, and I'm sure visible makeup would have been a no-no. I was a cheerleader, and we had to keep our hair above our shoulders! Can you imagine? Somehow, we were supposed to keep our skirts from flying up in the air and exposing our "bloomers" when we jumped. I was always on the edge of trouble over my hair, skirt length, and bloomers. Once I went to college, my interest in fashion and beauty blossomed. Even as a college student, I had a subscription to Women's Wear Daily. There wasn't an online edition "way back then." Every day, WWD was delivered my college mailbox. It was a treat to pour over the latest news. Even today, I eagerly await my monthly fashion and beauty magazines. WWD Beauty Biz is my favorite. I'm in my mid-60's and single. I live in a fabulous home in Northern Virgina, and I love my garden, which I built from nothing, with love. I have one cat now. Charleston is doing well. Savannah's epilepsy finally overcame her in April. Charlie is a gorgeous Snow Marble Bengal. Savannah, almost equally gorgeous, was a rescue cat with big green eyes. She was definitely schizophrenic, and, unfortunately, she had the epilepsy that killed her. I love antiques, art, books, and great food! I was frantically busy when younger, earning a Ph.D. in psychology and subsequently running my own management consulting business for many years. Then I went to work for a large financial company in compliance and ethics. I have always been a volunteer, and much of my "spare time" and money have been spent on local and state issues, including land use and conservation and environmental/animal causes. I have also been active in many horticultural societies. That's one reason I write Best Things in Beauty under a pseudonym. If you Google my real name, many pages of results from local civic association activities will be returned, including some of my most-famous mouthy quotes from public hearings. I decided to keep my various lives separate. It's relatively complicated. Every morning, I get up and wash, condition, and style my hair (using a mousse and hairspray to set the style). I'm experimenting with an every other day wash and trying to Still look decent. I try to use hydrating products. I am always testing products, but I return to my favorites unless a new product has knocked my socks off (that happens fairly often). Before work, my regular beauty routine starts with a cleanser for my face and neck in the shower. Then I apply one of my favorite serums and an eye cream (I've been using Le Métier de Beauté's Eye Concentrate and the new TATCHA one lately, but I'm always on the lookout for a new one). After they absorb, I add a moisturizer (or two) and makeup. now, I'm wearing Chantecailke's latest moisturizer. There has to be sunscreen in one of them. If not, I'll use Guerlain's tinted SPF 50. My makeup always includes a concealer, eyelid primer (Edward Bess), eye shadow, mascara (I love Maybelline Define-A-Lash), foundation (usually Giorgio Armani), blush (loving Hourglass and Guerlain), lipstick (maybe), and definitely lip gloss (usually Guerlain or LMdB). Sometimes a highlighter too. Before I'm out the door, I always add fragrance, something floral or citrus and definitely office-appropriate. During the day, I re-apply lip color/gloss/lip conditioner repeatedly, and I often use a hand cream during the day. Before bed, I always cleanse my face thoroughly, using an eye makeup remover if I need it after the cleanser. I've been experimenting with Simple Face Wipes or the CVS knock-off. Then I do skin care: serum, moisturizer, and now Chantecaille's new Biodynamic Lifting Neck Cream. Morning and evening, I use a body moisturizer (AmLactin, LMdB, and I really want to try the Guerlain one). I also use a hand moisturizer after I give Charlie his evening treats. Right before I go to bed, I apply a lip Moisturizer or even petroleum jelly in the winter. I supplement my regular products (some of which I rotate) with whatever my skin "tells me" it needs. For special occasions, I add products, such as eyeliner, which I don't wear every day. I know I should, but I prefer to get going in the morning. Another product I use is NEST scented hand soap. I love it and have a nice one at every faucet. Then there are the home fragrances (diffusers and candles), which delight me. Too many! More than I'll ever use in a day or week. I'm bad at subtracting - really good at adding, though. Not too long ago, a Clarisonic rep held my handbag for me. It was heavy because it had my camera in it. I roared at his response, "Girl, no wonder your back and knees are bad! This purse is ridiculously heavy!" Well, of course! It had a full face of makeup in it, with every shade you could imagine. I pared it down after my knee replacement surgery, but I doubt it will remain spare. From my dermatologist who told me to stay out of the sun and always wear sunscreen. He should know. He's had to use liquid nitrogen to remove a lot of actinic keratoses that have resulted from my unbridled attempts to become a bronze goddess when I was younger. 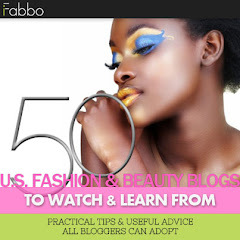 What's the most surprising thing you have learned since staring your blog? My readers have become a second family - definitely my friends! People warn that cyberspace is "dangerous," and I've seen some pretty nasty comments on blogs. At first, I was reluctant to "expose myself" to that. I feel so privileged, though. I have seldom experienced anything but warmth and love from my readers. I'm sure I have the best readers (and friends) in the world. I've formed lasting friendships with so many wonderful women (a few men too!). We e-mail, we call, we comment back and forth on the blog. Blogging has been an enriching experience. I'm also thrilled with the many beauty bloggers I call friends now. Please note: I comply with federal requirements by communicating when a product was sent to me gratis for review. If I do not mention that the product was a gift, gratis, or sent to me by the company, it means I purchased it.